Kristine Honiotes | Joliet, Illinois Criminal Defense Attorney | Honiotes Law Office, Ltd.
Kristine Honiotes is a trial lawyer with over 12 years of experience. As a former Will County Assistant Public Defender, she defended all types of felony and misdemeanor cases including murder, domestic violence, DUI, drug offenses, and other serious felony offenses. She was assigned as one of two Assistant Public Defenders in the Will County Drug Court Program for eight years. Through this assignment, Ms. Honiotes helped develop the Heroin Relapse and Prevention Protocol through collaboration with the Will County State's Attorney and the Court. Ms. Honiotes was a developing team member for the Will County Veteran's and Service Member's Court as well as the Adult Redeploy Illinois Specialty Court. Through these assignments, she has gained special experience with individuals who suffer from addiction issues. 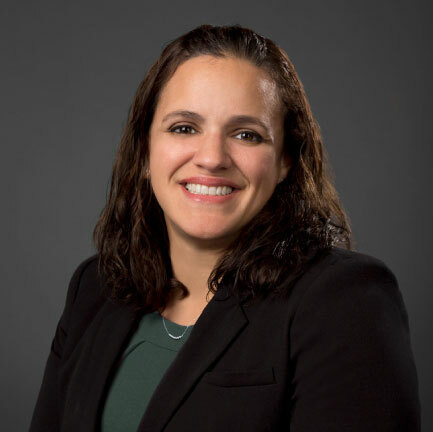 Ms. Honiotes has completed trainings with the National Association of Drug Court Professionals, the Illinois Association of Problem Solving Courts, and the Illinois Criminal Justice Information Authority: Adult Redeploy Illinois Program. Kristine received her Juris Doctorate Degree from DePaul University College of Law in 2005. She received her B.S. in Political Science in 2002 from the University of Illinois at Urbana-Champaign. Her practice is focused on Criminal, Traffic, and DUI law within Will, DuPage, Cook, Kane, and other counties.